jecnodde (Jenny) has taken Lyne's marvelous Moose Family model (with Lyne's permission of course) and regrouped and rerigged it. You get more pose possibilities, more everything in fact. 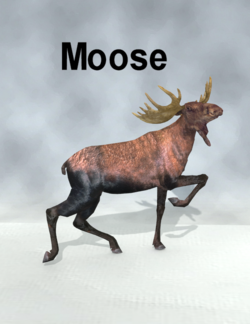 All you need is the original moose model and the free RTEncoder software. Full instructions are included in the zip file. This page was last edited on 9 September 2018, at 16:33.